Yorkshire Soap Company Comes To Harrogate | My Invitation To Their Opening Party | The Prettiest Pink Store In Town! A couple of weeks ago I was very lucky to be invited to the official opening of The Yorkshire Soap Company store in Harrogate, marking it as the 8th store to be opened since the concept was launched in 2004. Marcus and Warren started this wonderfully scented company from their kitchen table, creating soap for friends and family. Using Marcus' experience as a chef they mixed and muddled ingredients to perfect a recipe which is still their best-kept secret today! 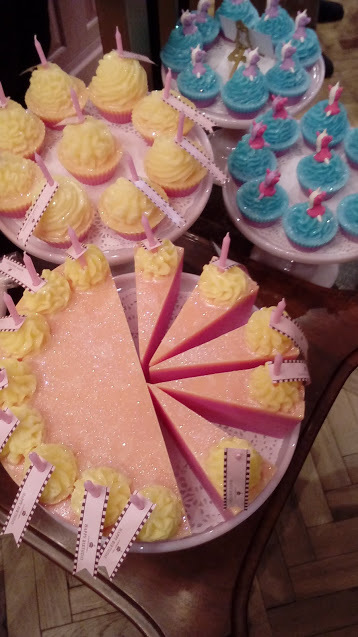 As all the best businesses do, they made do with what they had available to them - cake moulds and baking cases to create a world of scrumptious soaps, soon enough they needed to move on from the kitchen table and they spread their wings, opening five retail stores using Warren's retail experience. 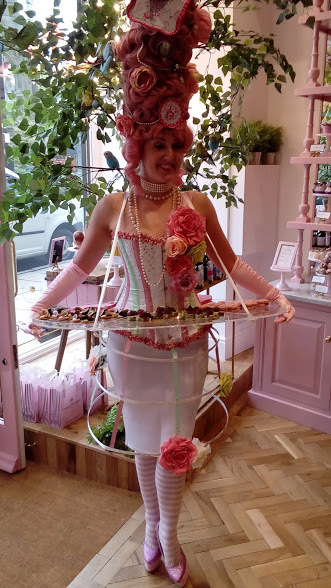 They are continually inspired by everything they see around them, from artisan sweet shops to travelling circuses, they have always wanted to construct a truly magical retail experience and create an irresistible and inviting space which everyone can enjoy and allow your imaginations to roam free. The best part of this company is that everything is cruelty free and no animals are ever harmed in the making of any product so everyone can rest easy whilst enjoying a Yorkshire Lass bubble bath! As soon as you step inside this beautifully scented store, your eyes are immediately drawn to the sweet store like pink interiors and the almost but not quite edible truffle and cake shaped soaps. 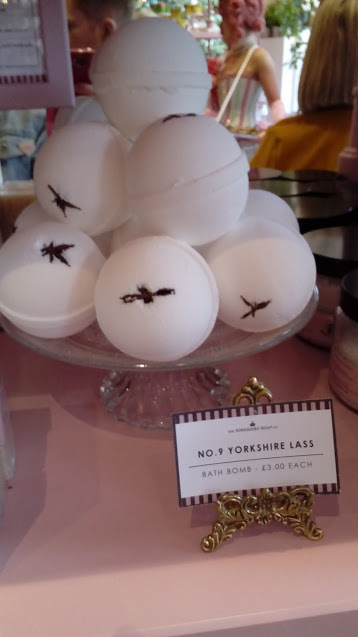 There's a scent for everyone, from Yorkshire Lad to Peppermint Cream, Yorkshire Rose and Cherry Bakewell all available in bath bombs, shower gels, bubble baths and bath truffles. If you're anything like me you will not know where to start but you'll know that this is the store for you, to stock up on all your bath time essentials. It was a wonderful night, the small shop was chock-a-block full with press, friends, family, shop assistants from when it used to be Farrow and Ball and of course, bloggers! It really was so good to catch up with three of my close blogging friends, Luke, Susanne and Janet. I feel so lucky to have such great friends who will come to events like this with me and with whom I can have an enjoyable evening enjoying such a glamorous event so thanks guys for being there with me I really appreciate it. I even got the chance to chat to Warren, one of the co-owners of The Yorkshire Soap Company who was only too happy to get to know the local bloggers and start a relationship with us, by offering hampers for giveaways, inviting us to events (such as this one) and of course the all important social media coverage we can bring to a company such as the Yorkshire Soap Company. 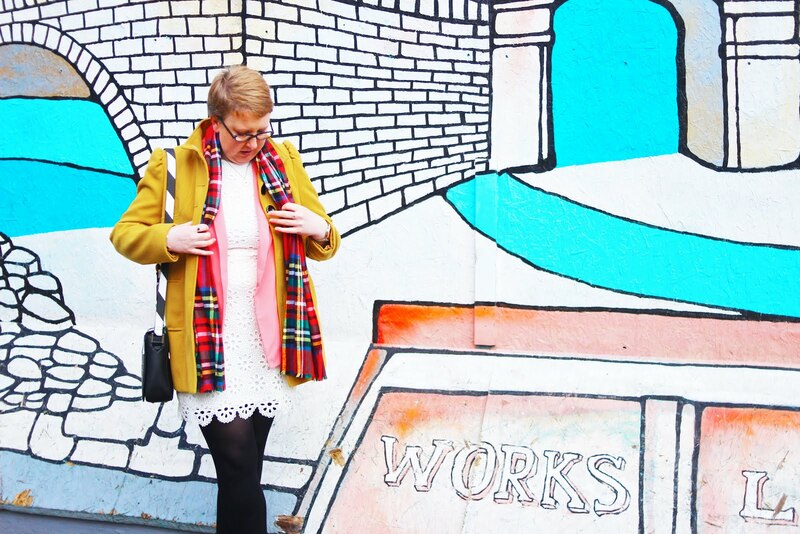 I am looking forward to the future and I cannot wait to see what we can come up with, so keep your eyes peeled on my blog and Instagram to see what we come up with! As you can probably tell, I had a wonderful evening, it was a pleasure to be invited to this event, meet Warren and Marcus, hang out with my friends and of course, learn more about this fabulous company!